We’ve all heard the phrase “the power of art.” That phrase can mean a lot of things—art’s power to move us emotionally, to manipulate, to inform, to make us care, to scare us or to make us think. Art is a part of every culture and almost everyone in the world values art in some form. But the “power” is often difficult to judge, outside of awards and monetary value—two things many artists don’t consider an accurate means of evaluation. One such example of a powerful and influential work of art is Ava DuVernay’s (Selma) Oscar-nominated Netflix documentary 13th (2016), a cinematic overture to the connections between the 13th Amendment, which abolished slavery, and the new form of slavery for many people of color: the largely for-profit prison industrial complex of today. Though the film is not without controversy for some of its more incendiary perspectives (and lack of diverse perspectives), it’s won near universal praise from film reviewers and audiences alike for its use of facts, statistics, and people who speak eloquently about the evolution of and destruction caused by mass incarceration. But how influential has DuVerney’s documentary actually been? Enter: super-rich art collector and philanthropist, Agnes Gund. Gund was so inspired by 13th, she’s stated, that she recently donated $100 million to start The Art for Justice Fund, which has an aim to directly affect the mass incarceration problem in the US. While the power of 13th to influence the hearts and minds of its many viewers is difficult to measure, clearly the call to action for a single person with extraordinary means may very well empower thousands of people in the prison system, those who have made out of jail and back to society, or those most at risk to be incarcerated to find a different path. But where did Gund come up with such an extraordinary amount of money? 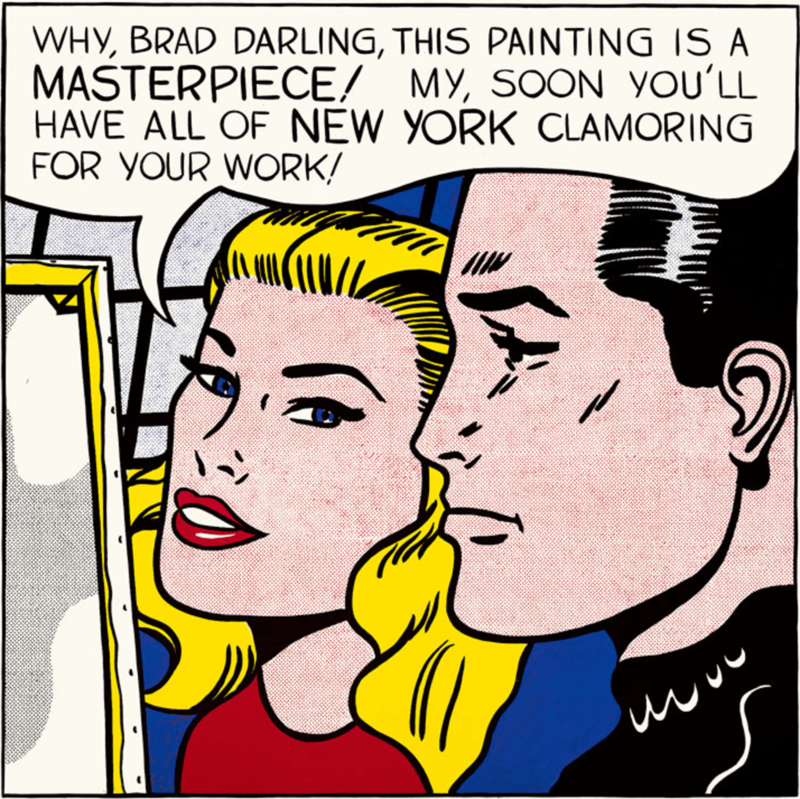 She made it on the sale of a single piece of art: Roy Lichtenstein’s appropriately titled pop art “Masterpiece,” which sold at auction for a record $165 million. I’m not really sure what social message my art carries, if any. And I don’t really want it to carry one. I’m not interested in the subject matter to try to teach society anything, or to try to better our world in any way. Perhaps Lichtenstein could anticipate his work’s artistic value more than he could imagine its transitional power as a commodity, however indirect, for the social good.